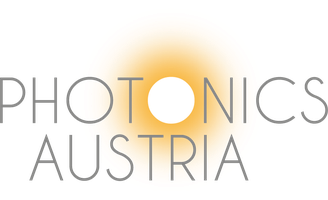 Shorter waves for higher data rates - photonics-austrias Webseite! Information and communication technology enjoys a broad acceptance in the everyday life. The technological evolutions of the past centuries have undoubtedly shaped the ICT landscape. The achievements of systemic and continuous refinement of electronic integration technology have tremendously influenced our life in the past 60 years. A prominent example is mobile communications: Initially designed as simple telephony service, data rates have been rising steadily while network coverage densified – up to a point where all kinds of devices are networked together. Nevertheless, the high concentration of end-user devices and the spectral exhaustion that comes along with these require extensive signal processing to reconstruct radio signals. The associated complexity sets a roadblock for the cost-efficient roll-out of emerging 5G networks. 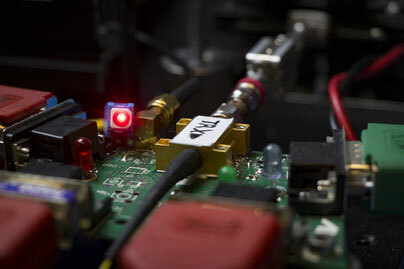 A consortium of researchers around the Austrian Institute of Technology aims to disruptively increase the radio carrier frequency while seamlessly merging photonic and electronic chip elements. The shorter wavelength enables higher bandwidths for the radio signal as well as more efficient and accurate spatial beam focusing. Yet, state-of-play semiconductor processes, which constitute the baseline of the millimeter-wave systems, are not mature enough to fulfill the requirements of this emerging technology. The researchers examine the heterogeneous integration of gallium-nitride and silicon technologies by exploiting industry-compatible processes for system-on-chip realizations with a high integration density. The high bandwidth of photonic elements supports the simple and efficient transmission of 5G radio signals.